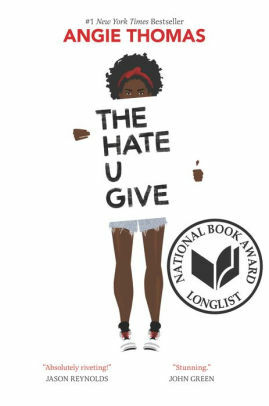 To celebrate 2018's Teen Read Week, Love Girls and the Library invite readers to a discussion led by local teen girls about the best-selling young adult book, The Hate U Give, by Angie Thomas. The Hate U Give tells the heartbreaking and empowering story of Starr, an African-American teenager, deciding how to use her voice after being the only witness to a police officer shooting and killing her childhood friend. Teen Read Week is a national adolescent literacy initiative created by the Young Adult Library Services Association (YALSA). It began in 1998 and is held annually during the month of October. Its purpose is to encourage teens to be regular readers and library users.